With 150 participants or less, the Grand Prix awards an Invitation for the Tokyo World Grand Prix to each of the TOP 3 players. With 151 participants or more, the Grand Prix awards an Invitation for the Tokyo World Grand Prix to each of the TOP 4 players instead. 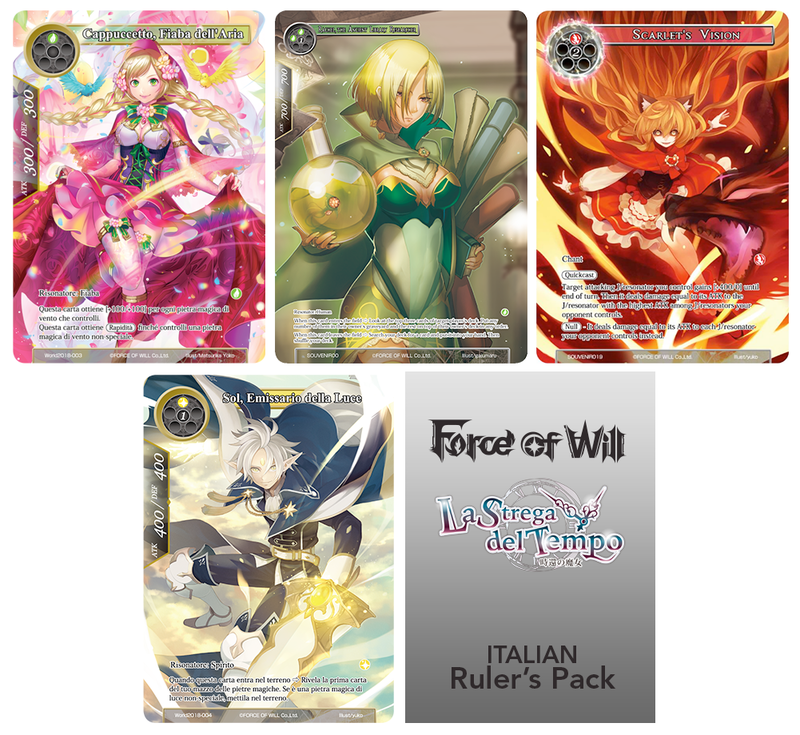 Saturday 25th August 8:00 a.m. - 10:30 a.m.; Player Briefing and Tournament Start: 10:30 a.m.
- Standard Registration: 30,00 euro (It features a Participation Promo Foil Extended Art Little Red, Fairy Tale of Air, a Participation Promo Foil Extended Art Magical Wind Chime, a Participation Promo Foil Extended Art Thought Control). 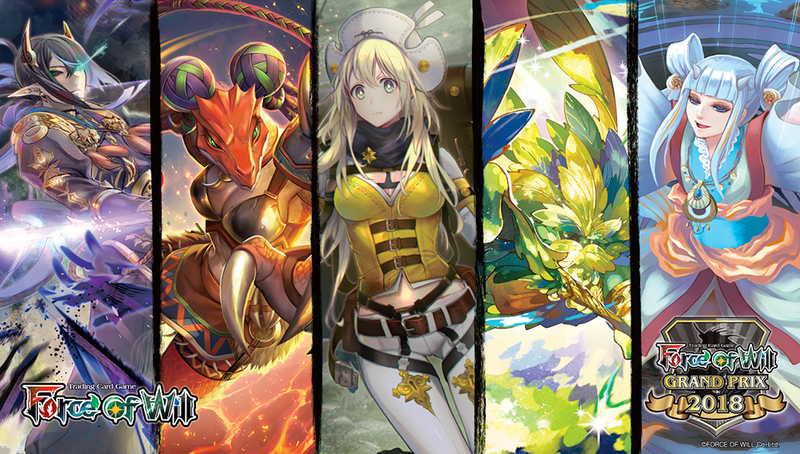 - Extra Participation Prize for the first 250 Pre-registered Players: an exclusive 2018 WGP Special Playmat . - Premium Silver Registration: 50,00 euro (It features a Participation Promo Foil Extended Art Little Red, Fairy Tale of Air, a Participation Promo Foil Extended Art Magical Wind Chime, a Participation Promo Foil Extended Art Thought Control, a Participation Promo Foil Extended Art Sol, Envoy of Light a Participation Promo Foil Extended Art Scarlet's Vision, a Participation Promo Foil Extended Art Rachel, the Ancient Library Researcher, a special Time-Spinning Witch Ruler Pack). - Premium Gold Registration: 100,00 euro (It features two copies of a Participation Promo Foil Extended Art Little Red, Fairy Tale of Air, two copies of a Participation Promo Foil Extended Art Magical Wind Chime, two copies of a Participation Promo Foil Extended Art Thought Control, two copies of a Participation Promo Foil Extended Art Sol, Envoy of Light, two copies of a Participation Promo Foil Extended Art Scarlet's Vision, two copies of a Participation Promo Foil Extended Art Rachel, the Ancient Library Researcher, two special Time-Spinning Witch Ruler Packs, a Participation Promo Foil Extended Art Cheshire, the Grinning Remnant vers. My Will My Game. a Participation Card The Time Spinning Witch). 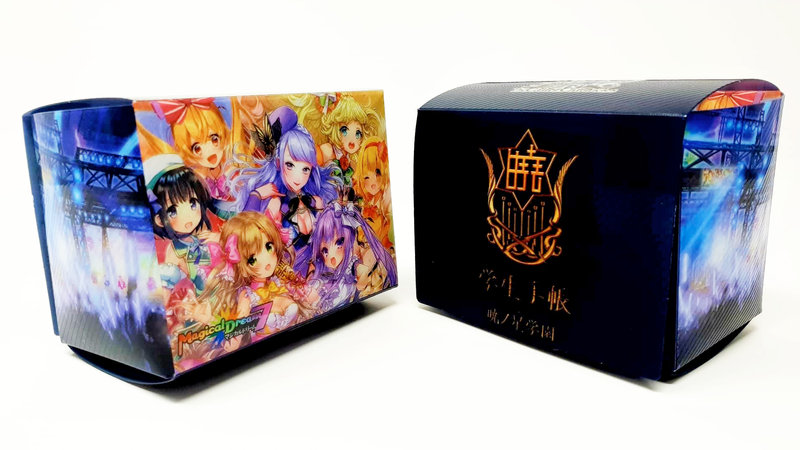 All pre-registered players that will register the Grand Prix will receive also a special Casters Chronicles Playmat and a Caster Chronicles Deck Box. Day 1 (Saturday 25th August): There are 6 or 7 Swiss Rounds during Day 1. After these Swiss Rounds, only the top 64 players in general standings will advance to Day 2. 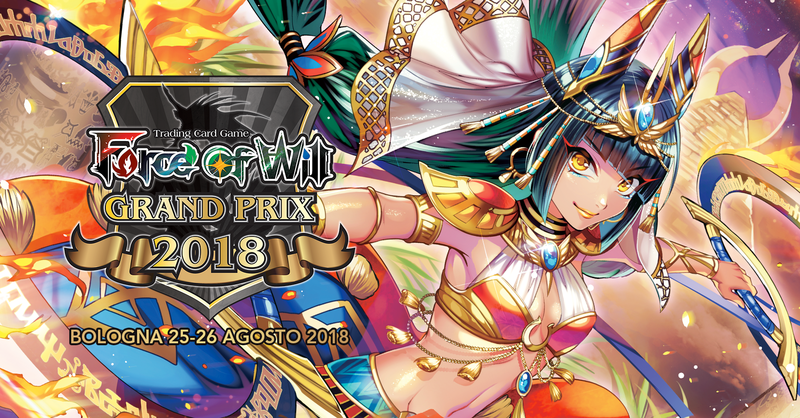 Day 2 (Sunday 26th August): Player Briefing and Tournament Start: 9:30 a.m. Only the top 64 players in Day 1 general standings advance to Day 2. There are 3 more Swiss Rounds. Then, the top 16 players will advance to a Single Elimination Playoff to dermine the final winner. 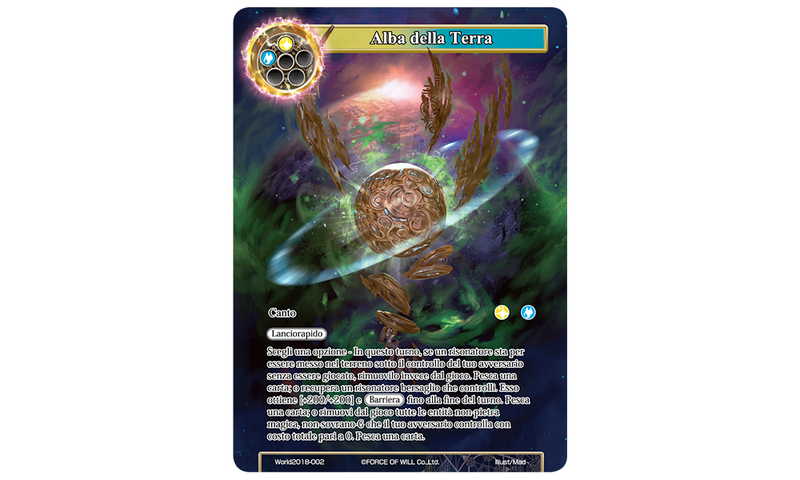 TOP 64: TOP 64 players receive a Promo Foil Extended Art/Alternate Art Dawn of Earth. 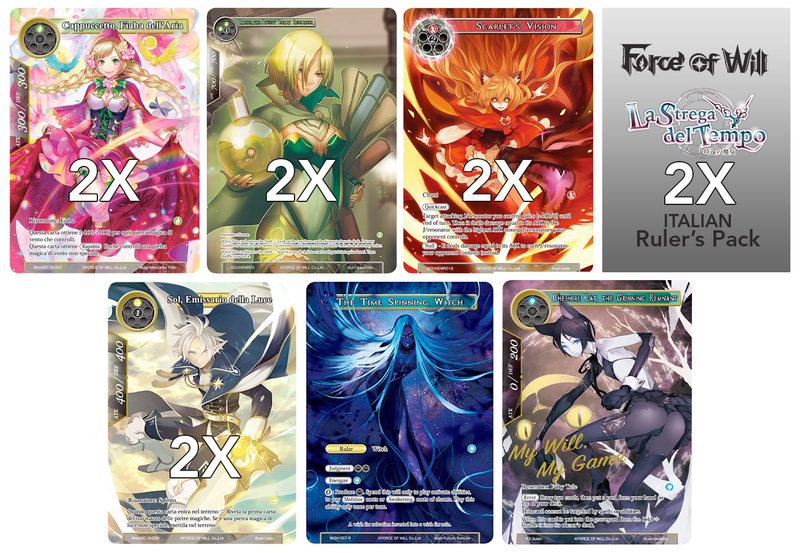 An overall prize amount equal to 2 booster packs multiplied by the number of participants will be divided among the top 64 players. 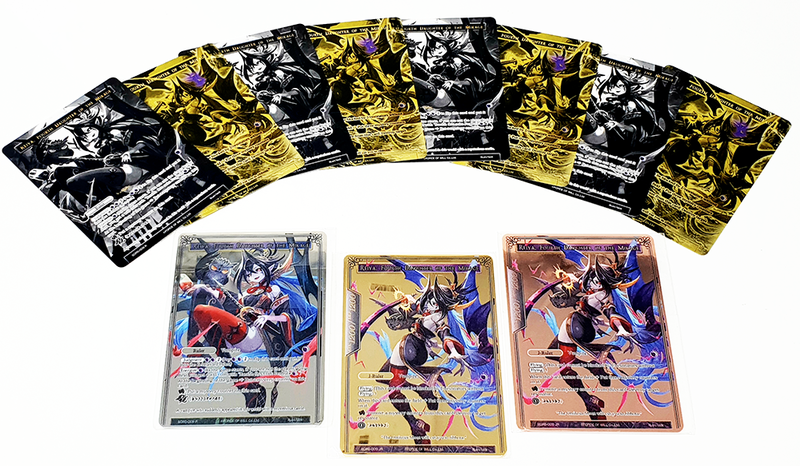 TOP 8: TOP8 players will receive each one a Special Golden Super-Esclusive Card Reiya, Fourth Daughter of Mikage. 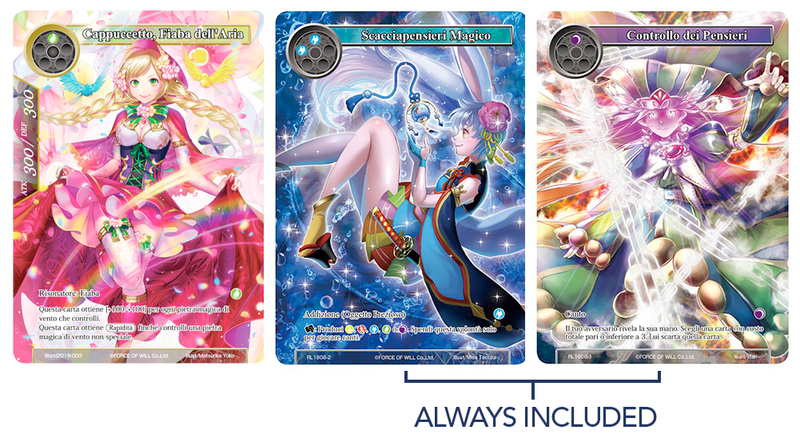 The top 3 players will also receive a Special Metal Super-Esclusive Card Reiya, Fourth Daughter of Mikage. Winner gets a Full Sponsored Invitation to World Grand Prix 2018. 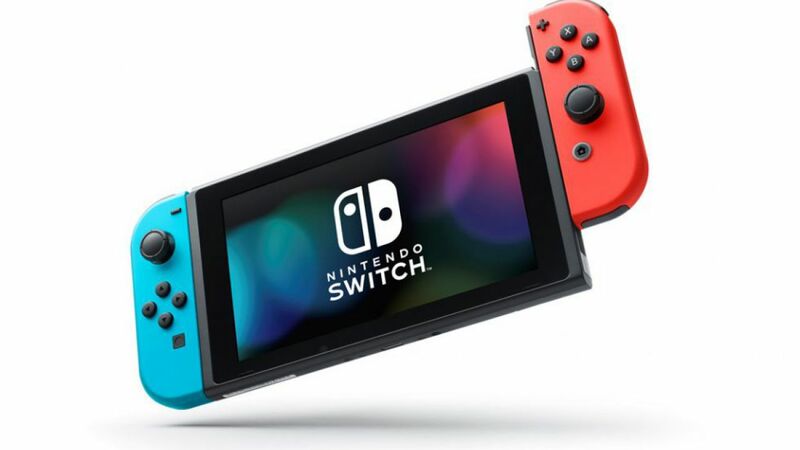 *Special Top Player Day 1 Prize: with a number of 180 or more participants, the top player on the general standings at the end of Day 1 Swiss Rounds will get a Nintendo Switch as special prize! 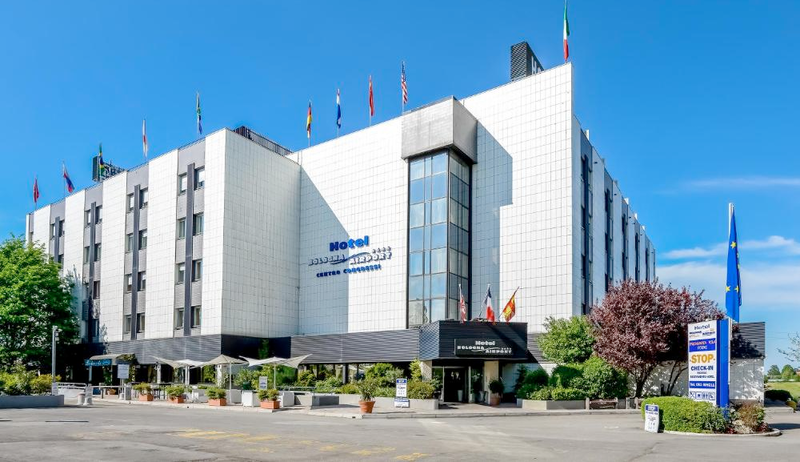 We recommend to contact Airport Hotel Bologna by phone at +39 051 409211 to use the above promotion.